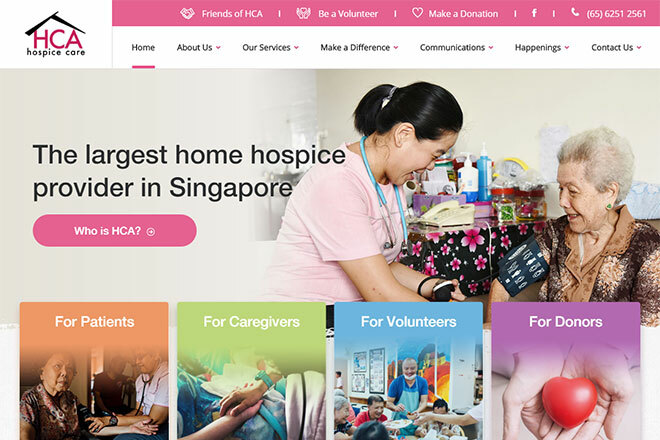 HCA Hospice Care (HCA) is Singapore's largest home hospice care provider and is a registered charity since 1989. The organisation provides comfort and support to patients with life-limiting illnesses regardless of age, religion, ethnicity, nationality and financial status. HCA’s core service, home hospice care, is provided at no charge to about 3,700 patients annually. Besides medical care for patients, this service also entails psychological support for patients and caregivers. A 24/7 hotline ensures help is available round-the-clock. HCA is an NCSS Centre of Specialisation for palliative care and conducts palliative care training for its patients’ caregivers. 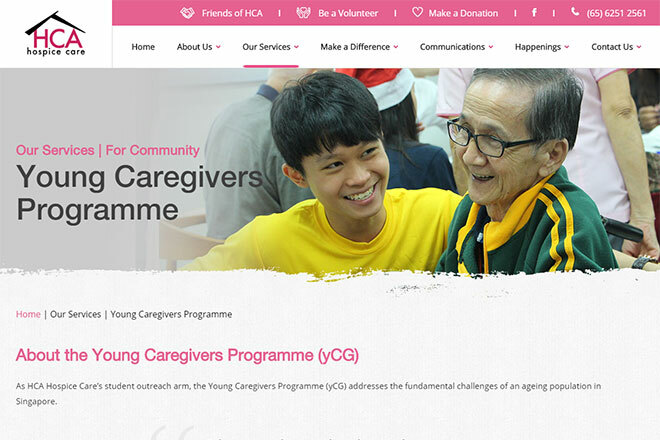 Its other services and programmes include day hospice care, paediatric palliative care (Star PALS), bereavement support and outreach programmes such as the Young Caregivers Programme (yCG).